Shirley Clarke was a pioneering American independent filmmaker and an integral part of the New American Cinema movement of the 1960s. She passed away in 1997. Clarke began her career as a dancer, studying with iconic teachers such as Martha Graham and Anna Sokolow. Her first films were dance films, such as 1953's Dance in the Sun, and filmmaking quickly eclipsed her original passion for dance. 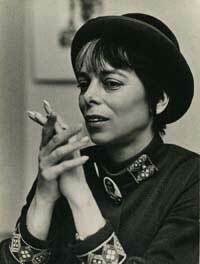 After garnering acclaim for several short films, Clarke expressed a desire to make a feature and she was encouraged by her brother-in-law, theater critic Kenneth Tynan, to adapt Jack Gelber's play The Connection into a movie, which she did in 1961. Due to The Connection's frank language about drug use, the film was difficult to distribute. Nevertheless, Clarke made a second feature, 1963's The Cool World; and her short film Robert Frost: A Lover's Quarrel With the World (1963) won an Academy Award for Best Documentary. Despite garnering much critical acclaim, Clarke's filmmaking career never quite took off. She eventually left the New York City underground film scene and taught filmmaking at UCLA in the mid-1970s. Her last film was the 1985 documentary Ornette: Made in America. In addition to her filmmaking, Clarke was a pivotal figure in developing the New American Cinema with Jonas Mekas in the early 1960s. The initial aims of the movement was to find new ways to fund independent feature films in NYC. Clarke helped form the New American Cinema Group along with Mekas, Gregory Markopoulos, Peter Bogdanovich and others; as well as co-founded the Film-makers' Cooperative distribution center.